Alex Rodriguez is over-the-moon about his recent engagement to Jennifer Lopez, and taking pride in his own meticulous planning. 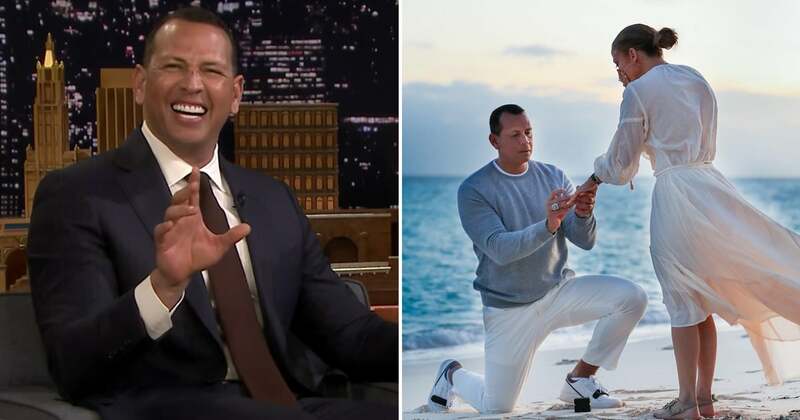 The 43-year-old retired baseball played stopped by The Tonight Show Starring Jimmy Fallon on Tuesday, and talked all about his romantic proposal in the Bahamas, including details about how he rehearsed three times with his assistant to get the timing just right. He wanted the perfect sunset as a backdrop, and damn, he got it! The tropical setting lent itself to some stunning engagement photos, and the golden hour light really showed off Jennifer’s ginormous ring — not that it needed much help. Watch Alex’s interview above to get the full story, and find out what he and Jennifer are focusing on right now instead of wedding planning.